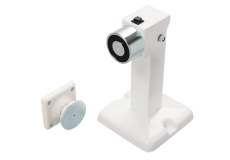 What are fire door holders (retainers)? 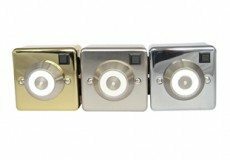 Fire door holders operate using a magnet, which holds the door open. In the event of a fire the magnet is released and the door closes. As fire doors should be kept closed to prevent fire or smoke spreading throughout a building, this can cause problems in buildings where there is a lot of movement of people e.g. education establishments, care homes, hotels. Rather than illegally wedging open fire doors (which have automatic closers fitted) to ease access, fire door holders will safely hold open a door and release it in the event of a fire. 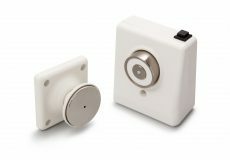 The trigger for the magnet releasing is a fire alarm; the fire alarm will communicate differently depending on the mechanism you use. Hardwired systems are actually wired into the building’s fire panel. In the event of a fire, the power supply is withdrawn and the magnet releases. Therefore, the door will also close in the event of power failure, meaning they are fail safe. Hardwired systems require an electrical engineer to install them. The radio systems are category A compliant, as defined by BS7273-4. A door holder will also help you comply with the Equality Act 2010 with regard to the provision of disabled access. 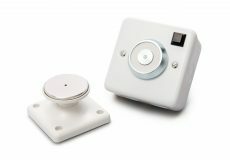 Geofire designs and manufactures a range of acoustic, radio controlled or hard wired fire door holders. Hardwired systems are actually wired into the building’s fire panel. In the event of a fire, the power supply is withdrawn and the magnet releases. Therefore, the door will also close in the event of power failure, meaning they are fail safe. Hardwired systems require an electrical engineer to install them. 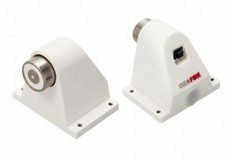 The Geofire hardwired systems are category A compliant by BS7273-4. Radio systems connect wirelessly to a controller via radio signals. This controller is mains powered and easily wired into the existing fire panel and therefore does not alter the building infrastructure. In the event of a fire, the controller is triggered into alarm mode by the fire panel and signals the holders to release. The Salamander radio systems are category A compliant, as defined by BS7273-4. 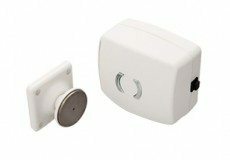 Acoustic systems are a cost effective plug and play type solution, which listens for the fire alarm. 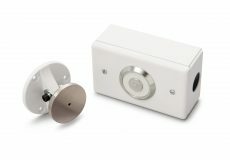 Geofire’s acoustic solution, the Agrippa range, is the first of its kind on the market; it listens and learns your specific fire alarm releasing the magnet when it hears a particular sound. 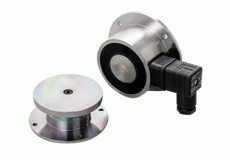 This differs from others on the market, which release the magnet on hearing any loud noise. This significantly reduces false activations. 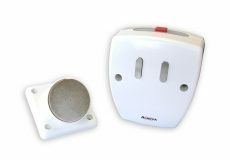 The Agrippa range can be fitted by anyone; it involves fitting the unit and keeper plate to the wall behind the door and performing a learn procedure. The Agrippa acoustic systems are category B compliant, as defined by BS7273-4.